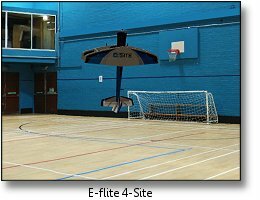 For top-quality virtual radio control flying, the Phoenix rc flight simulator is a superb choice for beginners looking at getting in to the hobby, as well as for seasoned professionals looking at honing their competition skills - and for everyone in between too! The Phoenix rc flight sim first appeared in the mid-2000s. Originally it was predominantly sold in the UK, but in October 2009 the company struck a deal with North American radio control distributing giants Horizon Hobby and since then Phoenix has been globally available and widely marketed. As a result of the deal, the Phoenix rc flight simulator was offered with a radio (Spektrum DX4e or DX6i) included in the box, rather than just the software alone, as it was originally sold. Above: the Phoenix with DX6i - a great combination indeed. The quality of the Phoenix sim is outstanding and the realism of the aircraft is very good. Most of the flying sites are photo-realistic, and the overall virtual flying experience on the Phoenix rc flight simulator is superb. On a personal note (I have RealFlight and Phoenix sims) flying on the Phoenix is even more realistic for me because several of the flying sites are close to my home area, so I've seen the sites in real life! 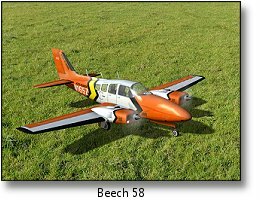 The Phoenix sim certainly does deliver all you'd expect a professional quality rc flight simulator to deliver, and the editing options of the aircraft are vast and comprehensive. This means that if you own one of the many aircraft available on the sim, there's an excellent chance that you can tweak the necessary specs and characteristics so that the virtual airplane, helicopter or glider exactly replicates your real one. The choice of aircraft on the Phoenix rc flight simulator is good, with well over 100 and that list steadily grows. Since the Horizon Hobby deal the tech team at Phoenix have added some of the more popular Horizon brand aircraft to the list, namely airplanes and helicopters from the HobbyZone, ParkZone, E-flite and Hanger 9 ranges, although it has to be said that not all of them fly true to the real thing with the default settings in place; some editing is need to make, for example, the ParkZone Radian fly more accurately. 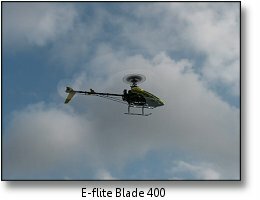 The range of high-end competition airplanes and helicopters is very good, giving championship level pilots plenty of opportunity to hone their flying routines to perfection. 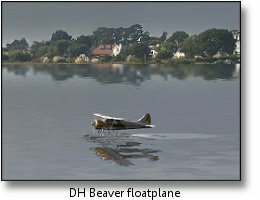 Without going in to a detailed side-by-side review, I can offer a few pointers if you're having trouble deciding which rc flight simulator to buy. I have and use both (RF G4.5 & Phoenix 3.0) so the differences outlined below are based on my own personal observations. Quality & realism: Both sims are excellent but for me Phoenix has the edge. The aircraft look slightly 'less' computer generated than the RF ones, and the lack of computer generated flying sites in Phoenix means that you're always flying in a photo-realistic place. Also, the Phoenix water-graphics are just outstanding, particularly the ripples created by helicopter downwash - very impressive! 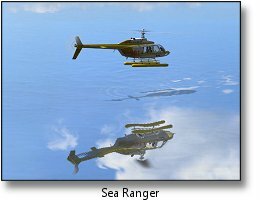 (see the Sea Ranger screenshot above). 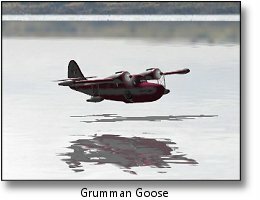 My main gripe is that the Phoenix sim planes do seem to be all underpowered on the default settings, and this is more noticeable in the IC planes and gas turbine jets. Choice of aircraft & flying sites: RF wins hands down on this one. 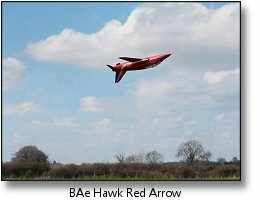 Although Phoenix has well over 100 models now (and growing) the RF 'AddOn' CDs and Knife Edge forum member swap pages mean that a seemingly endless range of aircraft is available for the RF series of flight simulators. Similarly, there is a huge list of flying sites to choose from for the RealFlight sims, compared to Phoenix's. 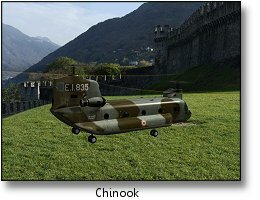 Ability to edit aircraft and scenery: Both sims offer comprehensive editing capabilities that the beginner won't need. 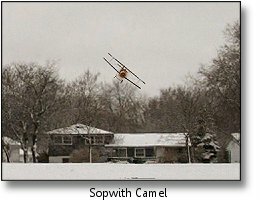 Professional rc pilots would be very happy with the editing options, I think. All technical aspects of the aircraft design can be tweaked and changed as desired. As for scenery, the Phoenix flying sites aren't very editable simply because they are photo-realistic. The RF sites have more options and there's a long list of scenery objects that can be added to (or taken away from, or moved...) the sites, both the photo ones and the computer generated ones. Controller & Tx: Until the Phoenix-Horizon Hobby deal, the Phoenix rc flight simulator was never offered with a transmitter-based controller, but the RealFlight one was. The Phoenix is now available with the Spektrum DX5e Tx. Flying on a sim with the same Tx that you'll use at the field is definitely the better option, but the RealFlight 'Interlink' controller is perfectly realistic (manufactured by Futaba and modelled on one of their 8 channel Tx's). A nice touch with the RF one is that you have control over some simulator options, such as selecting model and flying site, from the controller buttons - you don't get this with Phoenix and it's a surprising annoyance after getting used to the RealFlight Interlink convenience! On the Phoenix plus side though, you can calibrate and edit your transmitter settings on the sim to match the exact set-up for your own aircraft, and so what your Tx does in real life, it does on the simulator. Ease of use: Both about the same; very easy to get started with and both sims take you by the hand through installation and setting up. No complaints for either one and any potential complications will only arise when you want to get very technical and start seriously editing the models. Even then, the editing process for both sims is straightforward enough. How they run: This is obviously going to depend on the power and quality of your computer, but for me the Phoenix definitely runs smoother and less 'sticky' than the RF G4.5. It seems that the Phoenix is less 'resource hungry' than RF. The RF photo sites run smoother than the computer generated ones. Multiplayer abilities: Good for both. The new RF G5 improves on the G4.5 for internet interaction, with multiplayer combat flying available - sounds like fun to me! The Phoenix multiplayer option is excellent and both sims offer instant messaging capabilities between pilots. Training features: Both simulators offer excellent virtual training, from real-life professional radio control instructors and pilots. Everything from taking off and basic flying to advanced aerobatic and 3D maneuvers (for planes and helicopters) are covered, with full flight demonstrations and Tx stick movements shown along with a spoken narrative. Just select your lesson, watch the instructor perform it and then try it yourself! Fun stuff: Both Phoenix and RF have a few games and competitions to have fun with and hone your flying skills such as spot landing, limbo flying, balloon bursting and bomb dropping. RealFlight has more games to play in online multiplayer mode. Mac compatibility: Not being a Mac user I can't make a fair judgment on this but from what I gather, an Intel based Mac running Windows or Bootcamp will cope with either sim. Check forums for a definite answer before you buy to install on a Mac! Overall: in my opinion it's a tough call. 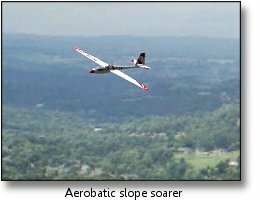 Both rc flight simulators are excellent and each have their pros and cons. I think it's fair to say that the Phoenix sim is more suited to the advanced / professional rc pilot than the RealFlight 'G' series, but a complete beginner is going to do fine on the Phoenix, particularly with the Spektrum DX6i package. I have and use both sims - if I had to choose between them, having used both, I think the Phoenix would win. Just.